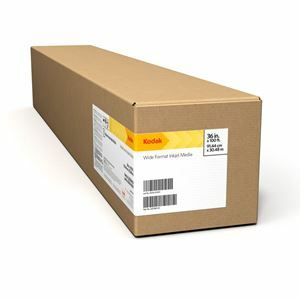 KODAK Instant Dry Photographic Glossy Paper is a genuine resin-coated paper that provides excellent image quality and instant dry times with dye and pigment inks. Turn out posters and signage faster than you can say “tradeshow graphics” with Kodak’s Rapid-Dry wide format media. Outstanding color density and a wide color gamut give you breathtaking image quality. Innovative microporous coatings make for fast dry times, which means less chance of smearing and waste, and the ability to apply laminates instantly.